Ireland has a world-renowned reputation for pharmaceutical and medical device manufacturing. 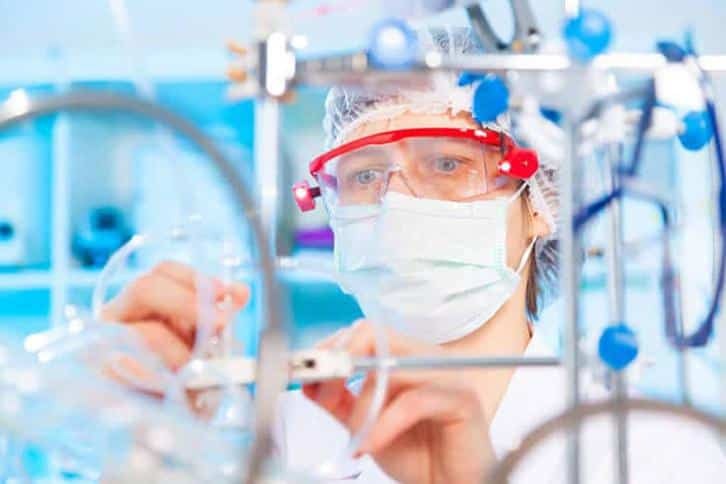 These industries are well developed and growing strongly throughout the country – Ireland currently hosts 9 of the world’s top 10 pharmaceutical companies and 18 of the top 25 medtech companies. If you’ve found yourself looking for a new career and are considering a move into this sector, there are a huge number of companies currently operating here. But for now, let’s take a closer look at the top 10 pharmaceutical and medical device companies in Ireland. Area/Products: Diagnostics, medical devices, generic pharmaceuticals and nutritionals. Brief history: Abbott worldwide was founded in 1888. Globally, Abbott employs almost 70,000 people, with a customer base across almost 130 countries. 2014 global sales were $22 billion. Abbott work in research, development, manufacture, and marketing of a range of products. Their portfolio spans the breadth of healthcare including medical devices, diagnostics, branded generic pharmaceuticals, and nutritionals. Presence in Ireland: Abbott has had a presence in Ireland since 1946. Today they have six manufacturing sites across Ireland and, in total, they employ almost 3000 people across 11 Irish sites. They have manufacturing sites in Clonmel, Cootehill, Donegal, Longford, and Sligo, with commercial support operations in Dublin and Westport. Brief history: Allergan began in 1950 after its founder successfully developed anti-allergy nose and eye drops. The focus was novel treatments for specialty markets in response to feedback and information from healthcare professionals and patients. They currently have over 2700 employees, including over 800 at their Westport manufacturing site. Allergen is a multi-specialty provider in areas including eye care, neurosciences, and dermatology. Presence in Ireland: Allergan’s current Mayo site is the largest in the company and was established in 1977. It is now home to both a Sterile Pharmaceutical Ophthalmic Plant and a Biologics Plant. There is 850 staff currently employed by Allergan across Ireland. The Mayo-based site production accounts for more than 50% of the company’s total revenue. Brief history: Boston Scientific produces a large range of medical devices used to diagnose and treat patients with issues in the areas of cardiology, urology, endoscopy and many more. It was founded in 1979 with the aim of creating less invasive medical devices and procedures; they continue to innovate across expanding areas of medicine. They estimate that around 21 million people were treated with one of their products in 2014. Boston Scientific currently employs approximately 23,000 people across 40 countries. Presence in Ireland: Boston Scientific has had a manufacturing presence in Ireland since 1994. There are currently three manufacturing sites – Galway, Cork, and Clonmel. Established in 1994, the Galway site is the largest in the country providing research and development, manufacturing, regulatory affairs and new product development. The Cork site was opened in 1998 and manufactures a range of devices across several areas of the business. In Clonmel, they have a focus on development, manufacture, and distribution of defibrillators and pacemakers – the Cardiac Rhythm Management area is an area of high potential and growth for the company. These sites export approximately 10 million devices every year. They currently have around 4500 employees across Ireland. Brief history: GlaxoSmithKline (GSK) is one of the world’s biggest pharmaceutical companies, describing itself as a “science-led global healthcare company”. GSK took its current form in 2000 after a merger between SmithKline Beecham and Glaxo Wellcome, and in 2014 it ranked as the sixth-biggest pharmaceutical company worldwide. Their products fall into three main areas – vaccines, pharmaceuticals and consumer healthcare. It is estimated that one GSK vaccine is administered every minute across Ireland. Presence in Ireland: GSK employs approximately 1500 people across Ireland. They have manufacturing sites in Cork, Dungarvan, and Sligo. The Cork facility was opened in 1975 and focuses on research and development and active ingredient manufacturing for nine of GSK’s pharmaceutical products. Dungarvan has been a manufacturing site for GSK since 1981, it is concerned with consumer healthcare manufacturing with two distinct plants – one for ‘over the counter’ products and one for oral health care. The Dungarvan plants have an annual production of the equivalent of 8 billion tablets and almost 100 million tubes – these products are distributed to over 70 countries globally. Stiefel, a GSK company, has a manufacturing site in Sligo which produces about 40 skincare formulations. Brief history: Lilly was founded in 1876 in the USA. Lilly currently markets products in multiple disease areas including cancer, diabetes, schizophrenia, depression and many more. Their products are available in 143 countries around the world, and they employ 41,000 people globally. Their NET sales in 2014 were over $19.6 billion. Presence in Ireland: Lilly established manufacturing in Ireland with a site in Cork in 1978. This site still produces active pharmaceutical ingredients for products across the Lilly portfolio in three main areas: small molecule API manufacture and supply; small molecule commercialization; biopharmaceutical commercialization and supply. Lilly employs over 700 people in Ireland across several divisions, 400 of these are employed at the manufacturing site in Cork. Brief history: Medtronic began as a medical supply repair shop in the US in 1949, and their first commercial product was a battery-powered, wearable pacemaker. From then on, they have focussed on technology as a means of improving treatment. Today, there is a focus on using that technology to improve treatment and management of chronic conditions specifically – Medtronic claims that “every three seconds, another life is improved by a Medtronic product or therapy”. In 2014, Medtronic bought Irish company Covidien to further expand their scope. Globally, Medtronic employs over 85,000 people in over 160 countries. Presence in Ireland: Medtronic moved into Ireland in 1999 and now operate two facilities – an office site in Dublin and a development and manufacture site in Galway which manufactures products in their cardiovascular range. This Galway site employs over 2500 people. The three Covidien manufacturing sites continue to operate in Galway, Westmeath, and Offaly – employing over 1200 people in total. Brief history: Following their merger with Schering-Plough in 2009, MSD is the world’s second-largest pharmaceutical company with operations in over 140 countries. They produce a wide range of products including vaccines and prescription medications for disease areas including diabetes, HIV, hepatitis C, oncology, and osteoporosis. Presence in Ireland: MSD began production in Ireland in 1976. Today, they employ over 2,000 across five sites in Ireland. The original facility in Tipperary now employs in excess of 400 people in the production of active pharmaceutical ingredients. In Dublin, a range of pharmaceuticals are manufactured and packaged, as well as sites in animal health and the global financial services division. They also have an active pharmaceutical ingredient manufacturing plant in Wicklow and a newer site in Carlow which specializes in human vaccine production. Finally, they support a BioPharma center of excellence in Cork. In April 2015, they announced plans for a further €11.5 million investment in their Carlow site and in February 2016, MSD announced 200 new jobs across 3 Irish counties. Brief history: Parent company, Novartis AG, is a global healthcare company based in Switzerland, established in its current form in 1996 from the merger of Ciba-Geigy and Sandoz. 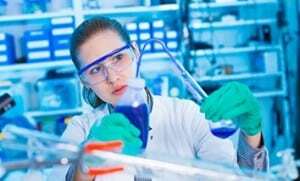 They are seen as having one of the strongest pharmaceutical pipelines, currently reporting 140 treatments in clinical development. Their pharmaceuticals treat disease areas such as neurology, oncology, ophthalmology and metabolism along with many more. Novartis Ireland Limited is the Irish affiliate of this company – Novartis Ireland’s group sales in 2013 were reported as $327 million. Presence in Ireland: Novartis was one of the first pharmaceutical companies to come to Ireland in the 1950s. Today, Novartis employs over 1300 people across four sites. The Novartis Pharmaceuticals manufacturing and development site is based in Cork and has a focus on production of active pharmaceutical ingredients. Brief history: Pfizer was first established in 1849 as a fine-chemicals business in New York and has grown to become the world’s biggest biopharmaceutical company through both pipeline development and acquisition. Pfizer has treatments in many prominent disease areas and therapies in most high-growth markets. In 2014, Pfizer’s revenue was reported as $49.6 billion. Presence in Ireland: Pfizer was one of the first pharmaceutical companies to move into Ireland, in 1969. Pfizer currently employs approximately 3200 people across sites in Cork, Dublin, and Kildare. 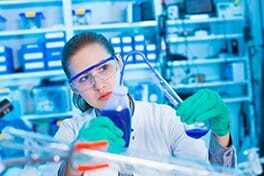 Their manufacturing operations include active pharmaceutical ingredients, solid dose pharmaceuticals, biopharmaceuticals, vaccines, and nutritionals, In 2015, Pfizer announced 130 new jobs for Ireland – 90 in Dublin and 40 across Cork. Brief history: Founded by an orthopedic surgeon in the U.S in 1941, Dr. Stryker was aiming to make products that met his patients’ healthcare needs. Stryker continues in the field of medical technology with a focus on surgical devices and is now one of the biggest such companies in the world. They currently employ over 25,000 people worldwide. Presence in Ireland: Stryker has three plants across Ireland – two in Cork and one in Limerick. The Cork Instruments plant develops surgical instruments and associated technology. The Stryker Orthopaedics sites in Cork and Limerick research and develop biomaterials as well as manufacturing knee and hip joints. Across these three sites, Stryker employs over 1,200 people. So there you have it, 10 of the biggest pharmaceutical and medical device companies in the world, employing large numbers of people and investing a lot of money in Ireland and its industry. I am a retired physician from the USA, who is studying music therapy at UL, and looking for a position as a medical liaison with a pharmaceutical company.